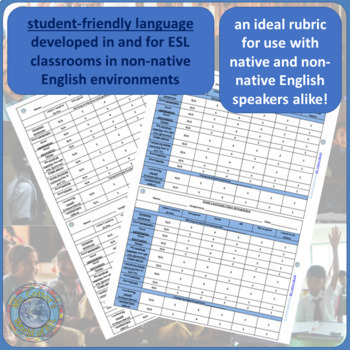 Constructed and refined over five years in an ESL classroom in a non-English environment (Taiwan) with never fewer than 4 native language backgrounds per class, this writing rubric targets many common areas for improvement in G1 ESL writing. Student friendly language with key words underlined to help students understand what they need to do! Conveniently organized into 'Content Goals,' 'Participation' and 'Structural Goals' categories to save you work! Easily modifiable and with extra room for adding your own categories, goals from standards and curriculum, etc. 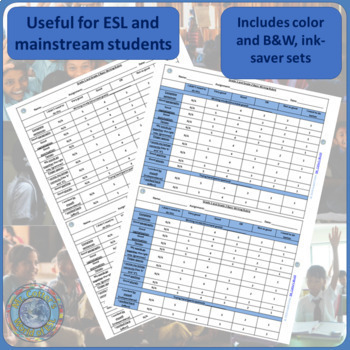 Easily modified or used as a base for your non-ESL students' needs as well! Best for once students have already progressed past beginning-of-year letter-sound and simple writing level and are ready to start writing stories. Good for any length and level of G1 creative story writing project. 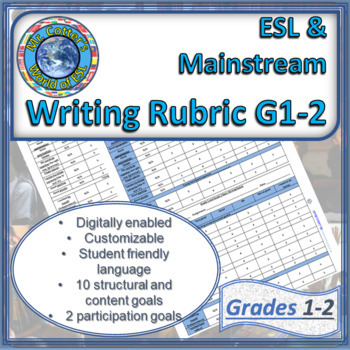 Preview the rubric with students at the start of a writing project. 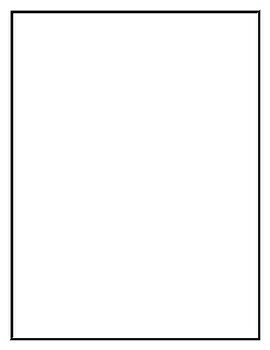 Remind students to look at the rubric regularly during writing time. Have students use their pencils and mark the rubric for self reflection and editing/improvement before handing in their work. Tell thiem, "This isn't for me, it's for you. It will help you make your story even better!" - it works wonders!